This past weekend I decided I wanted some new running tops to go with the new bottoms I bought about a month or so ago. I think I found some good basics and at decent prices… the sports bra was the most expensive thing I got. As a woman with a bigger chest I will ALWAYS splurge on sports bras that provide a lot of support and compression! (^ That’s not food stuck on my tooth it’s just the reflection of one of my Invisalign attachments lol). Before the symptoms of compartment syndrome starting really showing up, I was happily holding a base that included an 8 mile long run and about 25 miles per week of total running. That’s where I feel comfortable when I’m not training for anything specific… and I can’t believe I’m almost back to that! HOLY COW! I’ve struggled on a few of my quality/speed runs lately and I’m still trying to figure out what’s going on there. My coach has some theories and we’re going to play around with it some. I’ll write a separate post dedicated to the struggles soon because it wouldn’t exactly be honest if I just told you I’m over here riding the runner’s high every day. I am mostly really, really, really happy with where my running is at right now though and I know I’ll figure out the rest with time! Previous Post WHOA, My Fall Racing Schedule! Next Post Day in the Life! Getting new running clothes is always the best! Aw man that’s a bummer you’re struggling on the speedwork lately! Is it your calf flaring up, or just a general issue with not being able to hit the paces/effort level? My calves actually feel GREAT! Better than great actually, I barely think of them at all because they just feel normal! 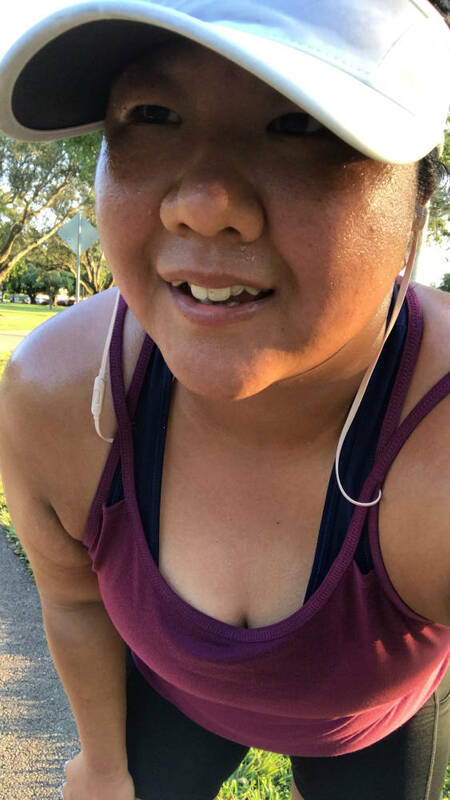 My struggle lately has been with not being able to keep my pacing steady on quality run days and also sometimes running out of energy before the end. My coach says she knows I’m capable of running the paces because I am able to do it sometimes, it’s a matter of figuring out why I can’t other times! We have a lot of ideas of why it could be, and I think it’s probably a combination of things… it’s tough because I’m not a beginning runner but I haven’t run in so long that finding what IS right for me in terms of quality runs is not so cut and dry. Cute new tops! I tend to like slightly longer tops too.